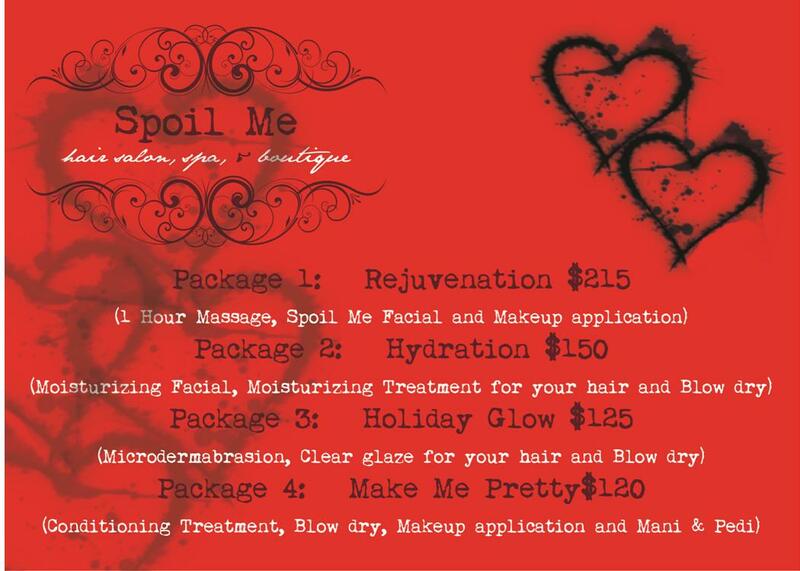 Spoil Me Salon & Spa wants to make your shine for your Valentine with February specials. Gift certificates are available as well. Spoil Me is located at 4668 North Broadway, at the corner of Leland. 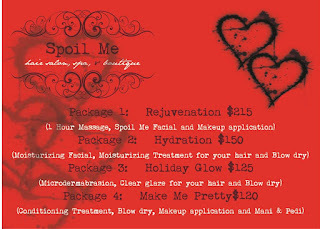 More about their services are available on their website: www.spoilmehairsalon.com.